Realvolve is a real estate CRM software designed for lead generation, automated workflows, and more. It also has a guidance system that helps users with their activities and predicts business outcomes. 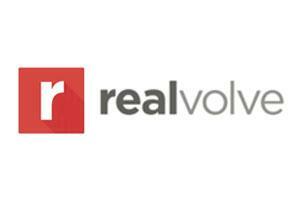 We compiled Realvolve reviews from around the web and found that it has mainly positive ratings. We also shared the subscription options available. According to the positive reviews online, users like Realvolve because they like the functionality it offers. Others are pleased with how the software handles workflows seamlessly. Some users are happy that they can have all of their client information and transaction history in one place. According to the negative reviews online, they dislike that they cannot use Realvolve to add custom fields for their client records. Others dislike the user interface because it requires too many steps in the workflow creation. According to a user who gave Realvolve positive feedback on Capterra, he finds the product easy to use. He also likes that he can do everything he needs, plus more. He is also pleased with how the customer service team provides support. According to a user who gave Realvolve negative feedback on G2 Crowd, he dislikes that he is unable to add custom fields for each person on his client list, like notes that pertain to sending gift cards for personal preferences of clients. Realvolve has three subscription plans most suitable for small businesses — Pro ($59/month), Pro+ ($199/month), and Team ($280/month). They also have the Large Team plan for businesses who need more provision for user accounts. This plan employs customized pricing. The main difference between the plans are the number of users. All plans include one assistant, 50,000 contacts, unlimited storage, as well as access to listings, transactions, files, tasks, and date tracking. They also offer a free trial for those who want to try the services out first. Check out the list below for some of Realvolve’s features. Best Real Estate CRM 2017: Contactually vs Top Producer vs REthink CRM – If you are in need of a real estate CRM software that matches your business’ specific needs, read our guide to find the right fit for you. Real Estate Marketing & Sales Strategy From the Pros – Learn everything you need to know about real estate using our in-depth resource guide here. This video is an overview of how Realvolve can help you and your real estate business. When choosing a CRM, it’s important that the software integrates with other applications your business is currently using. Here is a list of some of Realvolve’s popular integrations. Not sure if Realvolve is the right fit for you? Check out the top real estate CRM comparison guide. I like the automation. If I set up my workflows and templates correctly, my task time is significantly reduced. Just a couple clicks versus several. Being a Realvolve user requires a lot of time, patience and a very tech savy user. To me, creating templates feels a lot like writing code because of the merge fields. That’s a double edged sword, because those codes are what automate and make the program great. Other dislike is that the sources don’t copy over for contacts that are linked to each other. The tags are, but not the sources. Strange. The benefit for me as a transaction coordinator is the time saved in automation and the checklist keeping me on track.